About- PROXIMITY keyfob packs are for use with PROXIMITY compact and Switch2 systems. An intuitive 'shadow card' system is used for ease of management. The keyfobs are supplied with a wallet for storing the shadow cards. 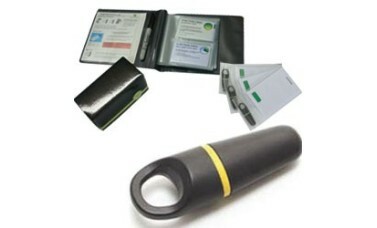 Installation - When installing the system the first keyfob pack is added by presenting the Enrolment card from that pack. Subsequent packs are added by presenting the original Enrolment card followed by the Enrolment card from the new pack. Further configuration is done using the other cards in the pack. Fail open release card: Only for use with PROXIMITY compact. Presenting this card reverses the operation of the lock output to make it suitable for operating a fail open release. Presenting this card again reverts operation to normal. Silent operation card: Disables the sounder in the reader. Sounder is enabled by presenting the card again. Operation - Each keyfob is packaged with a corresponding shadow card. 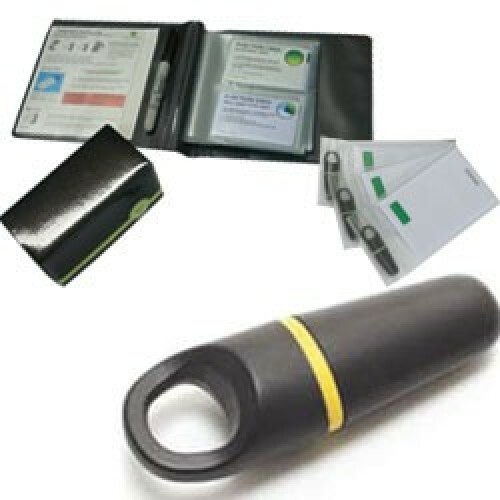 Once installation of the system is complete all user cards are valid and ready to be issued. To issue a keyfob, remove it from the wallet and write the name of the user on its corresponding shadow card. The user may now use their keyfob to gain access. This process is repeated for all users. If a keyfob needs to be invalidated, the corresponding shadow card is removed from the wallet and presented to any relevant readers on the site. This invalidates the keyfob.